Each week I get a number of emails from readers asking for help with patterns or fabrics. Aside from suggesting a few sources I can’t really help much with patterns. My assistance with fabrics also has to be a bit limited as I’m getting mine from the original suppliers, which don’t come cheap; or using my own weavers to recreate discontinued lines which takes a lot of investment and time. 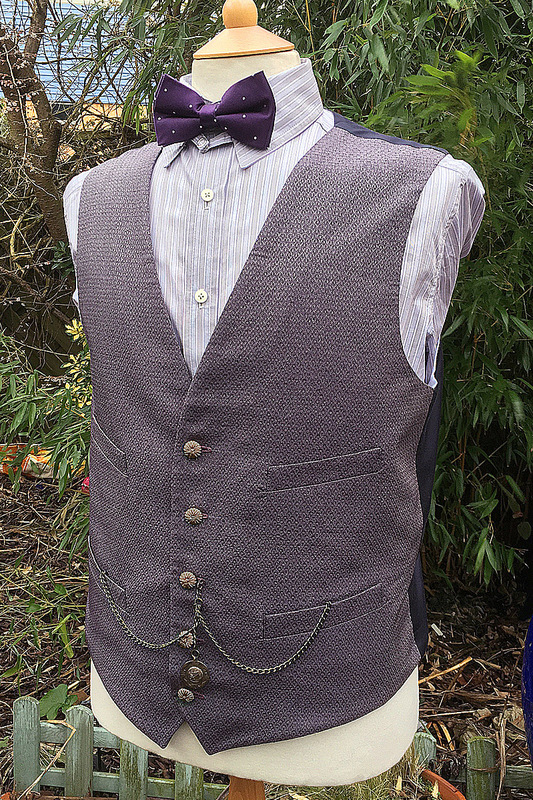 So I thought I’d create Fabric Friday, and each week bring you a bit of detail on the materials used to create the Eleventh Doctor’s wardrobe. Many readers are on budgets, so screen accurate materials can be prohibitive. Their only chance is to find something similar or evocative that can do the job - so long as you don’t look too closely. 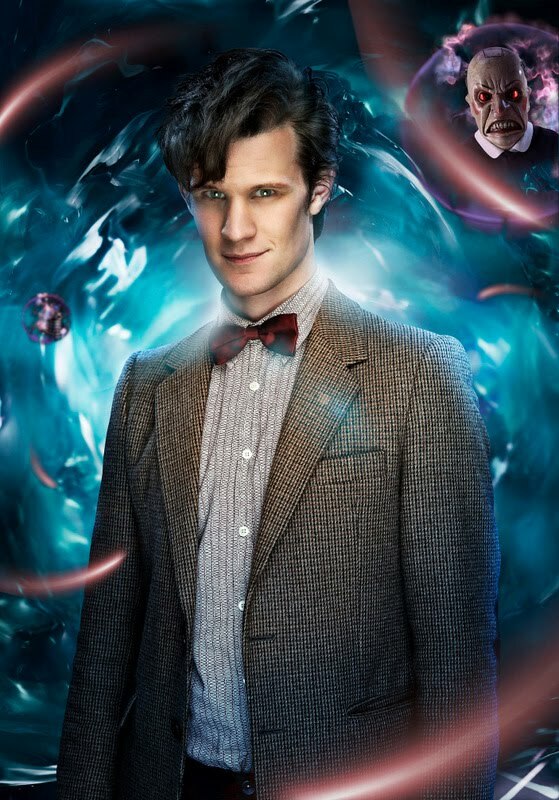 The most requested at the moment is the Cashmere used to make Matt’s frock coat. I’m asked what is it like - or is this or that fabric close enough to use. Only once you see the fabric in-hand can you realise how unique it is. 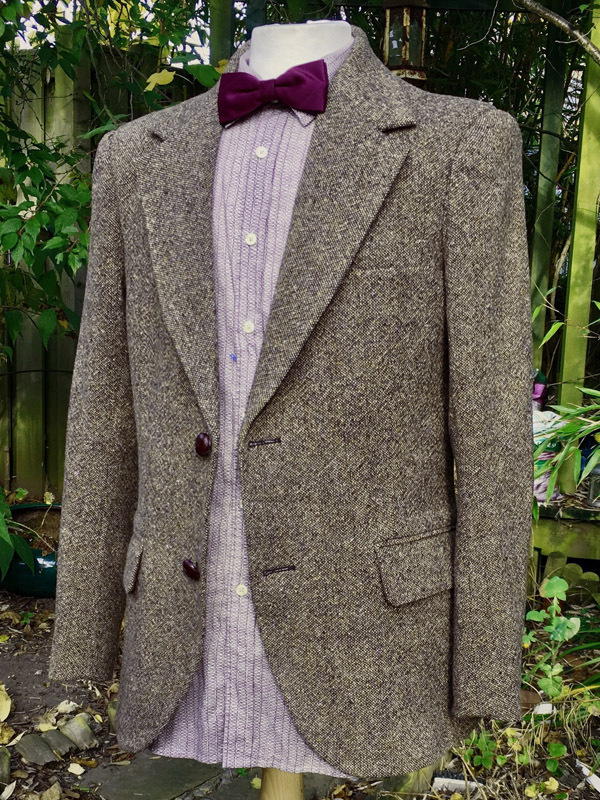 So what I’d thought I’d do is share some detailed scans of the fabrics used for Matt’s wardrobe to once and for all give the definitive reference guide, going through from series five to seven. 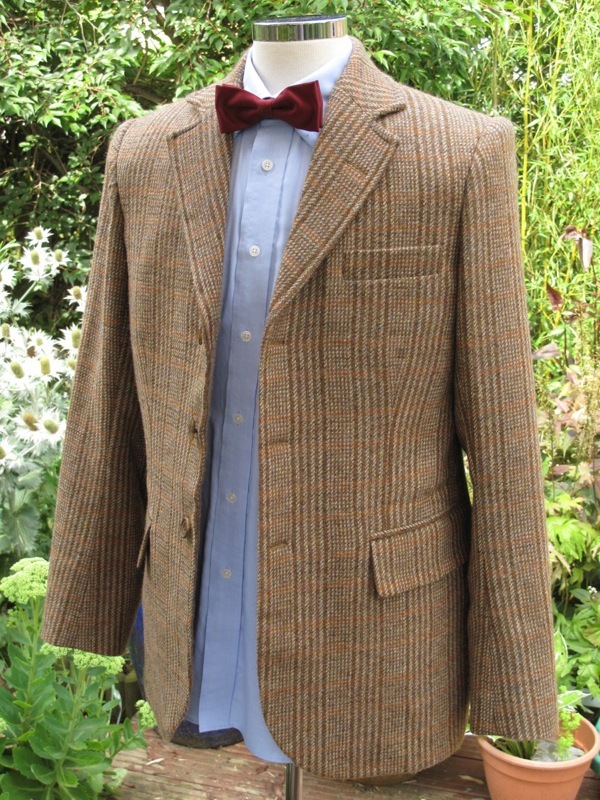 Worn for the first episodes shot was a vintage Harris tweed jacket. The jacket dated from around the 1970s and was made from a Mackenzie two-by-two dogtooth fabric. 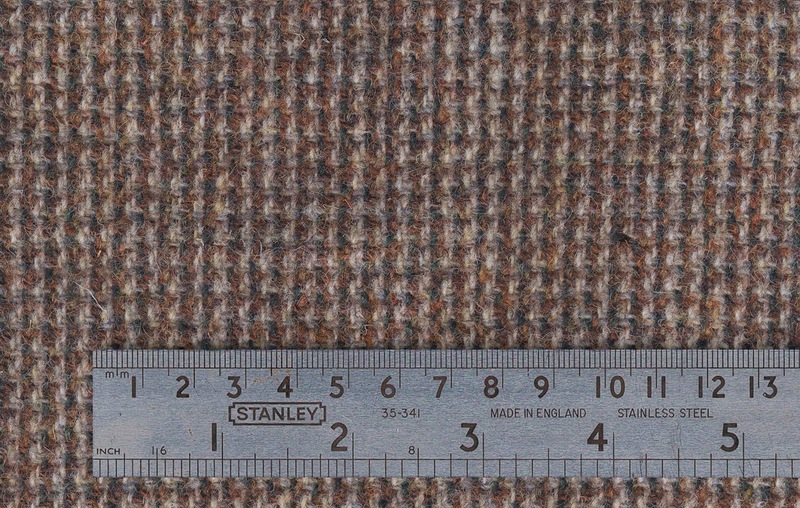 As you can see, it’s woven from a beige, brown russet and green thread. 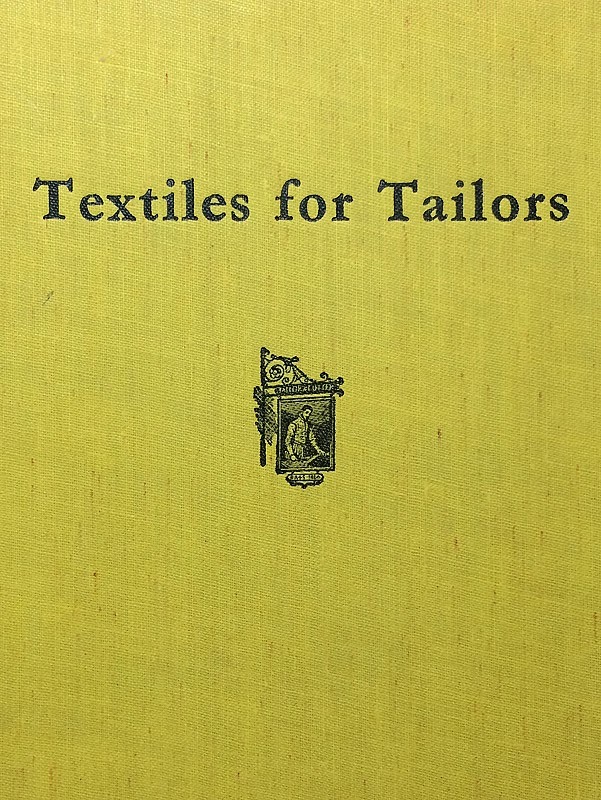 Here is what one of my favourite archive books has to say about Harris Tweeds. HARRIS TWEEDS are tweed fabrics made from pure virgin wool produced in Scotland, dyed and finished in the Outer Hebrides, and hand-woven by the islanders at their own homes in the islands of Lewis, Harris, Uist and Barra. Originally, hand-spun yarn was always used, the carding and spinning being done by the women during the long winter evenings at the fireside. 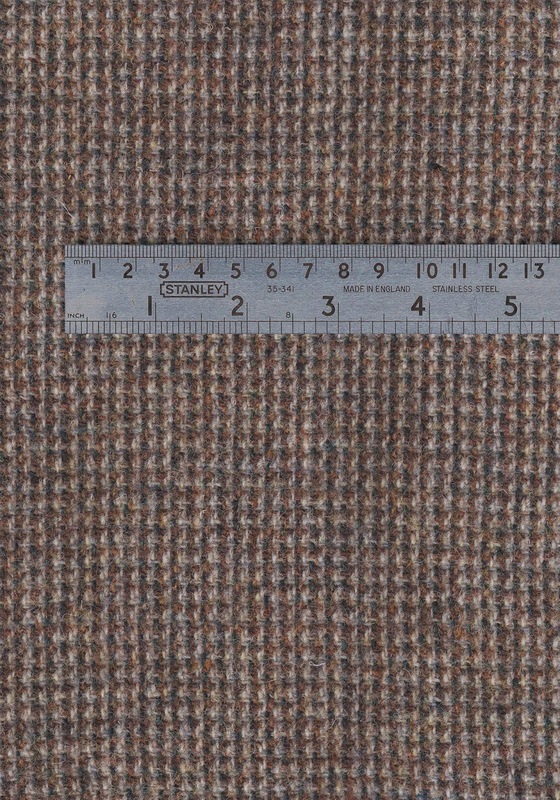 Later, in 1911, the Harris Tweed Trade Mark required that all processes, with the exception of carding, should be done by hand, but owing to the ever-increasing demand for Harris tweeds it was found necessary to obtain yarn from mills on the mainland. Today, most Harris tweeds are Woven from machine-spun yarns, but the term “ hand-spun” is used in the case of those tweeds made entirely from handspun yarns. The yarns are thick and fibrous, and the fabric is made in the plain or a simple twill weave. 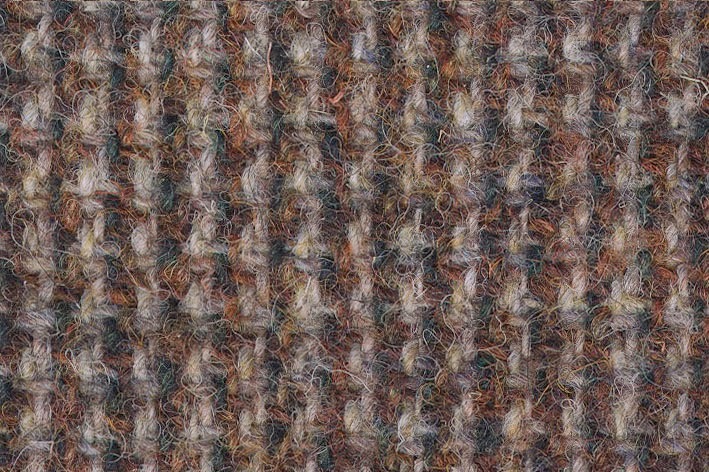 Harris tweed has all the characteristics of a good cheviot fabric — elasticity, a fibrous surface, good strength, and good colour tones. The natural dye called crotal and the drying of the cloth by the heat from the peat fires give the fabric its characteristic aroma. Owing to the scarcity of crotal dye synthetic dyes are now being employed in the colouring of yarns for Harris tweeds. 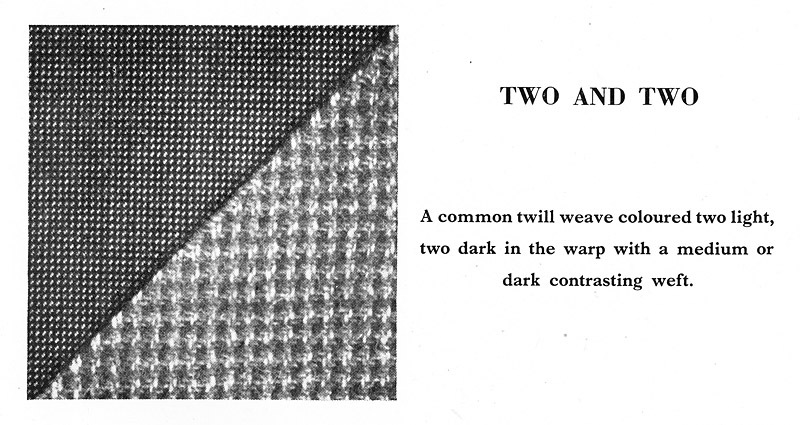 My book also some some information on the style of weave. 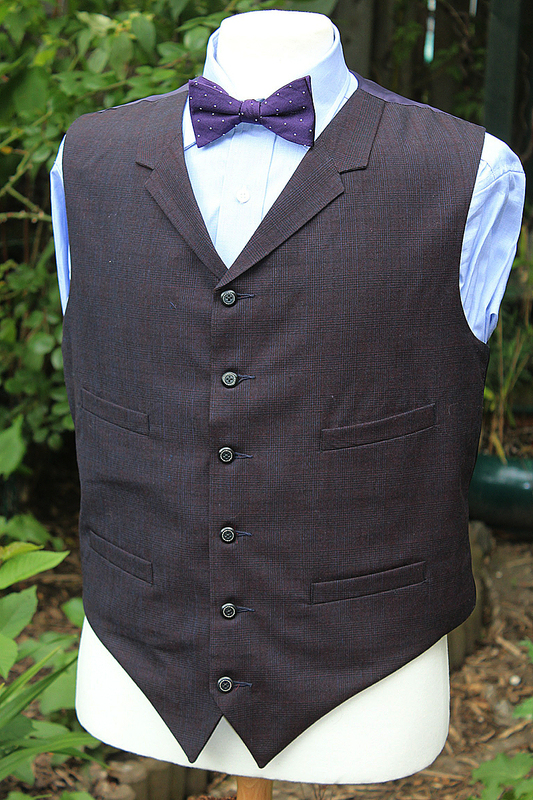 I’ll publish the next tweed from Matt’s wardrobe soon, so check back to see the Donegal.